The Bookkeeping area offers full support for non-sterling bank accounts (such as euro or dollar accounts) for all your overseas trading or multi-currency needs. This ensures that you can record the transactions from all your company’s accounts. Whether you walk into your local UK bank branch and open a euro account, or you head into a bank in Beijing and open a standard CNY account – inniAccounts will be able to support all of your company’s bank accounts. The Bookkeeping area will also manage the exchange rate for you. Behind the scenes, when you record a transaction, the software will automatically lookup live exchange rates and take account of daily rate fluctuations. 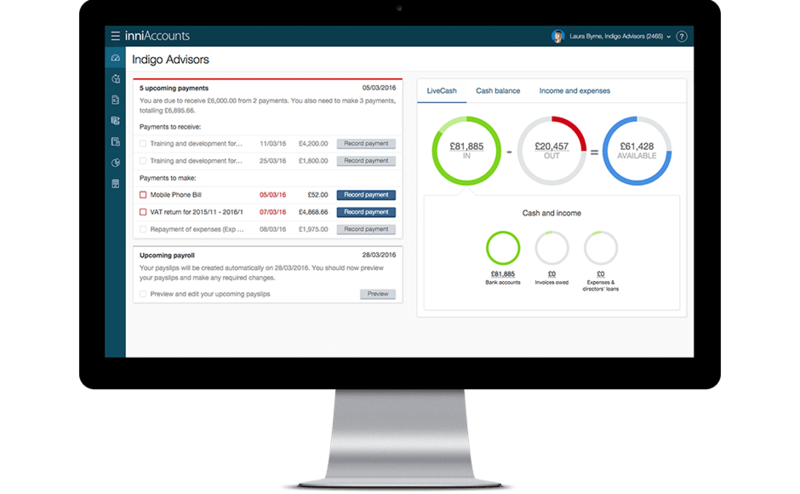 So, even when you’re dealing with separate currencies, your overall accounts, tax calculations and LiveCash values will always be accurate and up to date. The live lookup feature ensures that instead of dealing with HRMC’s quarterly values, you always get the most up to date exchange rate. It automatically works to make your overseas records easy to use, accessible and accurate. If you’d like to use inniAccounts to support your non-sterling bank account, simply let your Account Manager know. For further information on working with overseas clients, click here.